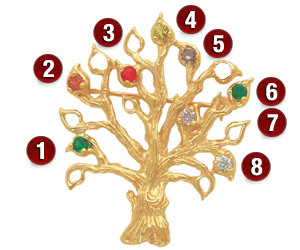 The Tree of Life pendant / pin measures approximately 1 3/8" in height. This pendant/pin holds between 3 to 10 stones that are 2.5mm in diameter. Chain not included.